This is the second book in a series. One thing I would like to suggest is that the author gives a brief introduction to the characters for those who did not read the first book. Two brothers named Charlie and Mouse hear a knock at the door. They are delighted to find that their grandfather “Grumpy” has come to pay them a visit. Grumpy tells them that they are getting big. Charlie agrees, but his younger brother Mouse says he is just “medium.” That leads to a delightful discussion on what the word medium means. The next morning the boys launch a plan to pounce on their grandfather, but he is already awake. The boys find a way to implement their plot. When their parents go out for the evening Grumpy entertains them with pizza and movies. 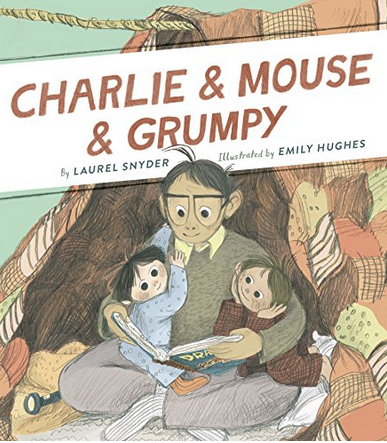 They set up a fort and request a song from Grumpy, but their plans go awry with Charlie coming to the rescue. When the time comes for Grumpy to leave, the boys find it difficult to say goodbye and use a blanket as a cover-up. This story is well-written and helps children understand emotions that are difficult to put into words. At just under fifty pages, this book is a good fit for children who are ready to transition from speech bubbles and easy readers to a traditionally laid out chapter book. There is plenty of space between the lines to make it easy to follow. Soft watercolor illustrations fit well with the storyline. Teachers might want to read each chapter separately for kindergarten or first-grade readers. 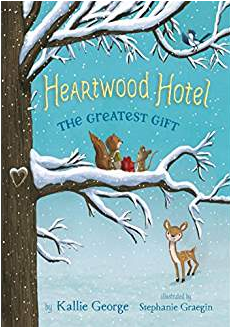 Mona, the Mouse, is an orphan who lives and works as a maid in the Heartwood Hotel. As the story opens, most of the winter animal guests are turning in to hibernate. The staff is about to celebrate with the St. Slumber party hosted by Mr. Heartwood. The employees celebrate with a feast and exchange of gifts. Tilly, the Squirrel, is Mona’s best friend and roommate is Tilly. Their quiet, winter season is disturbed by the arrival of the haughty, Duchess Rabbit who makes unreasonable demands. Then a mysterious thief begins to steal food supplies. A food delivery truck goes missing. When the vents are clogged, Tilly and Mona slip out to investigate. They are shocked to discover a neighboring community of which they were unaware. The personified animal communities exemplify the best and worst of human nature. Decisions need to be made that will affect the welfare of all. Readers learn the importance of weighing self-interest versus family and community. Black and white illustrations remind me a bit of Beatrix Potter. I found myself wishing there were more of them. Lots of dialogue and twists and turns keep the chapter book lively. 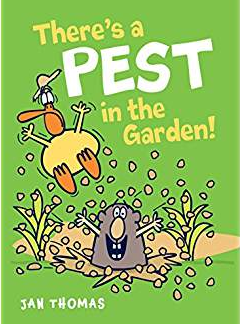 While this book is classified as an early chapter book and can be enjoyed by early readers, I believe the length and plot depth make it more suitable for a third or fourth-grade audience. Look forward to checking out other books in the series. 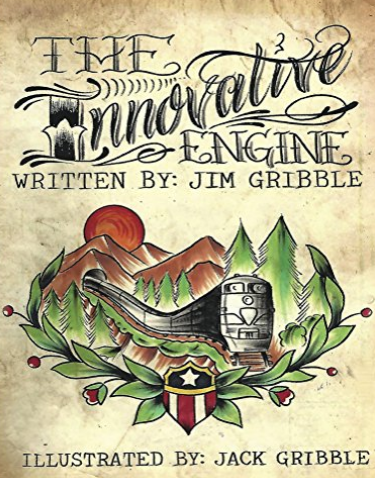 This book is a unique tale combining technology, fairy tales, and student writers. The Innovative Engine grew up in New York City hearing the tales of the little engine that could. One day she received a letter from a teacher with a special request that she readily accepted. A group of student bloggers would board her at Grand Central Station. There they would begin a nationwide trip stopping at cities, farms, and lake country to learn about innovation and write about their discoveries. After stopping at Washington D.C. and receiving a tour of the Capitol, the students travel west to explore old technology and experiment with new ideas. The Innovative Engine is then equipped with solar panels, the students learn about using magnets for transportation, and how to transform the engine into a vegetable garden to feed the hungry. At the end of their journey, the President greets them and thanks them for blogging about their discoveries. Readers find a pleasant mix of traditional characters, a dose of upcoming technologies, and meet some student journalists of the future. Illustrations and images that were drawn by the students for their blog entries are included. The plot is unique, fanciful and creative. Particularly recommended for middle-grade students, but an enjoyable read for all ages. 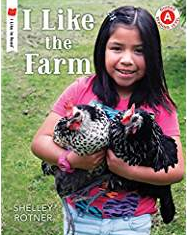 This book is a Step A Guided Reading book which features one sentence I like the…… Blanks are filled in with the names of familiar farm animals. There are full-page multicultural photographs of a child with the associated animal. Especially recommended for preschool and kindergarten children just beginning to read who love animals. 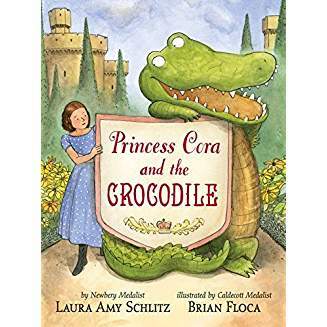 Poor Princess Cora is a victim of parents who are obsessed with her development into the role of future ruler of the kingdom. Cora is beset with a nanny who is obsessed with cleanliness and forces her to take three baths a day, a mother who forces her to read boring books all day, and a father who wants her to be strong and forces her to skip rope every day. When Cora requests a dog for a pet, her parents are horrified. She writes a note to her fairy godmother asking her to intervene. To her surprise and dismay, the next day a crocodile is delivered to her in a cardboard box. This crocodile assures her that he will take charge and teach her tormentors a lesson. He demands only to be fed cream puffs as payment. So, Cora escapes into the woods for a day of adventure, climbing trees, eating strawberries, picking buttercups, and getting dirty. In the meantime, her pet crocodile is taking revenge on the nanny, the queen, and the king. At the end of the day when Cora returns she makes her request once more. What has happened at the castle? Have the adults learned a lesson? How will Cora be treated in the future? This story presents the inner conflicts of Cora, and the adult versus child conflict clearly. Cora is a strong female role model, who is also obedient and respectful. The soft watercolor illustrations with a vintage feel are soft and appealing. The crocodile character adds humor and a hint of naughtiness. I would especially recommend this chapter book for second and third graders who are comfortable with the seventy-page length and some challenging vocabulary. If you enjoyed reading this review, please subscribe by clicking on the word Follow or by hitting the orange RSS FEED button in the upper right-hand corner of this page. Another easy reader in the farmyard friends’ series. Duck, Sheep, Dog, and Donkey are upset that there is a pest invading their garden. He is eating their favorite and not so favorite foods like beans, corn, peas, and turnips. Duck thinks he has a plan, but it turns out that all the animals must work together to find a permanent solution to keep pests out. The familiar characters and speech balloons allow readers to follow the simple dialogue and story plot. Children are led to understand that cooperation and working together is the way to solve a common problem. Recommended as an early stage independent picture reader or read aloud. This book is part of a series that focuses on real-life survival stories to teach important life-saving skills. In this book, Travis and his family are vacationing in Washington. 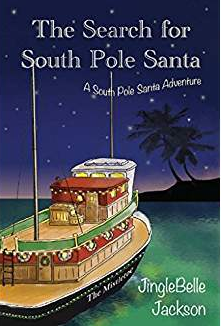 At the beginning of the tale, the family is sailing on a fifty-foot whale-watching boat with other tourists. While the group is preoccupied sighting whales, a huge wave capsizes the boat. Travis frantically yells for his family; he finds himself under water. Marina, the captain’s seaworthy daughter is nearby. Travis is wearing a wetsuit and Marina has a life jacket, but her wrist is broken. As they drift farther away from the wreckage, Marina keeps Travis calm. After many hours and no rescue, they are finally thrown ashore on a beach. Hypothermia is setting in and Marina is becoming sick and disoriented. Travis must learn to overcome his fears, follow Marina’s instructions, build a fire, set up a shelter, and find water. The next morning with no rescue in sight, Marina sees eagles flying overhead and remembers an island that has a camera studying the nest. But can Travis overcome his fear of heights and somehow scale the tree to let humans know of their plight? This is a story of adventure and courage. Marina and Travis undergo personality transformations and role reversals. 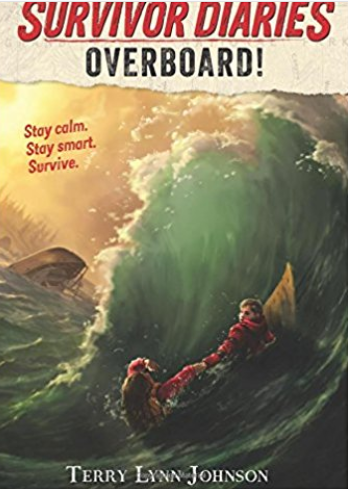 Perhaps even more importantly, readers are taught how to survive if thrown overboard, avoid hypothermia, and learn basic survival skills. Hopefully, these will never need to be employed. There are a few powerful black and white illustrations that assist readers to visualize the adventure. The author includes a US Coast Guard approved section on illustrated, step by step survival techniques. While this book has been classified an early chapter book, I believe that the eight to twelve age range is a good target audience for this book. This is a Level 1 Step into Reading book for preschoolers and kindergarten children learning to read. The storyline is perfect for this age group as most children are beginning to lose baby teeth. 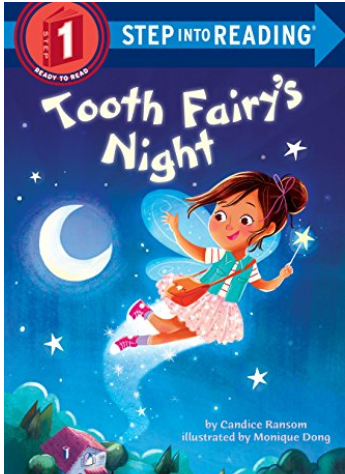 The Tooth Fairy is illustrated as an adorable character who assiduously performs her duties. The author uses lots of familiar objects like stuffed toys, pets, moon and stars. 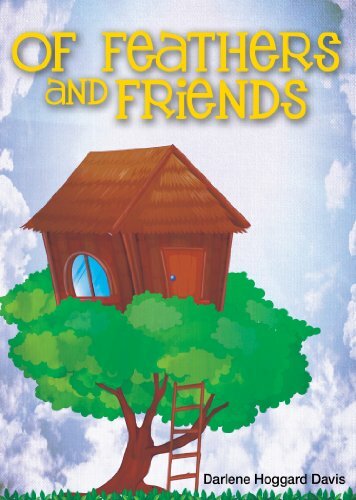 This book is written in simple rhyme with nice large print font and vivid colors. I would have given it five stars, but the rhyme structure seemed difficult in a few spots. Princess Magnolia agrees and the next day she is off on her bicycle to the beach. Here she meets Princess Sneezewort. Suddenly, the tranquility of the day is broken by a giant sea serpent who is threatening to eat people. Of course, the princess immediately dons her costume and rises to the threat. 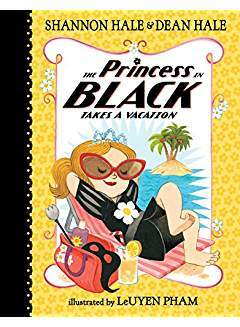 Will The Princess in Black meet the challenge? At the same time, readers are following The Goat Avenger in a parallel story as he strives to protect his goats. He sets traps for unsuspecting thieves. A squirrel is caught in one of his traps, but the tables are soon turned on The Goat Avenger. Is he successful in guarding the goat herd while the princess is away? Lots of lively dialogue and large print size make this book appealing to young readers. Many of the colorful illustrations are full page. Onomatopoeia and action scenes move the story along quickly with just enough challenging vocabulary. Especially recommended for children for children ages six through eight.